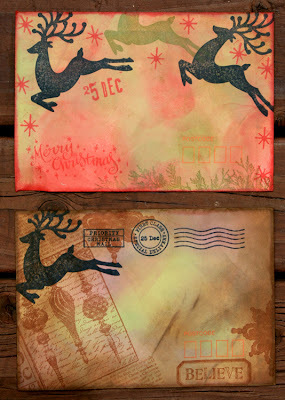 My Creative Existence: Some More Christmas Mail Art! Gee I've been a good little blogger lately! LOL! 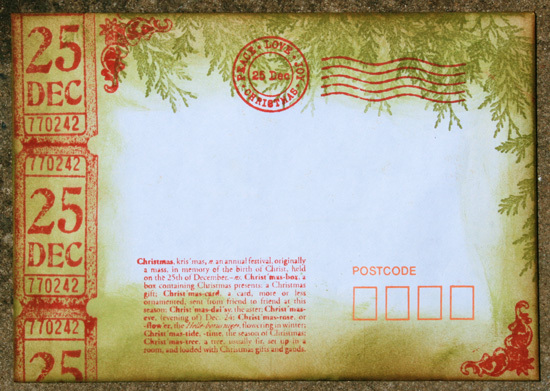 Today I have some more Christmas Mail Art to share with you. It was hard getting a look I liked with the envelopes being so thin (the inks soaked through quickly, and they kept scrunching up when I was inking! Argh! ), but they did look pretty cool once the addresses and postage stamps were on them! Again I've used Darkroom Door stamps - from the Yuletide Vol 2, Christmas Reindeer, and Noel stamp sets. And of course, lots of inking with Distress inks! Wonderful envelopes!!! Sweet baby fotos toooooooo,,,ahhhhhhh.